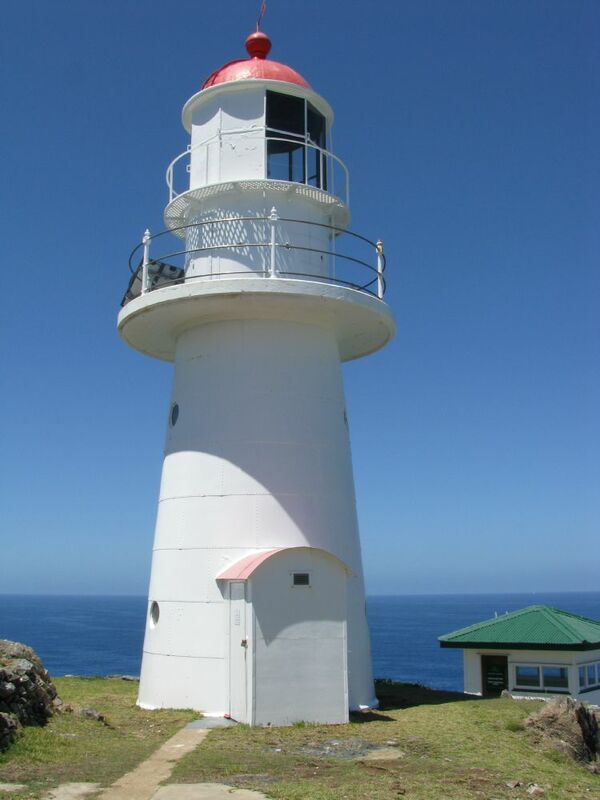 Double Island Point Lighthouse | Lighthouses of Australia Inc. 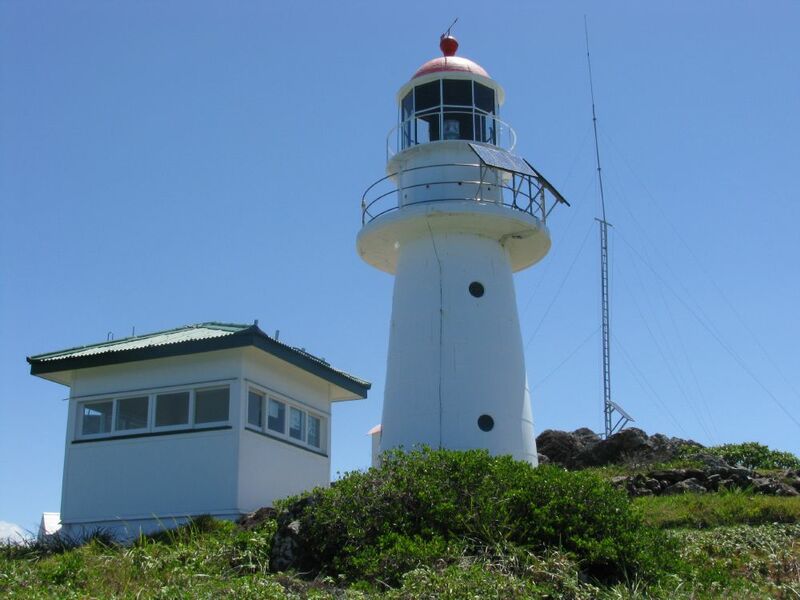 The Double Island Point Lighthouse is constructed of metal cladding on a timber frame as is typical of many Queensland lighthouses. 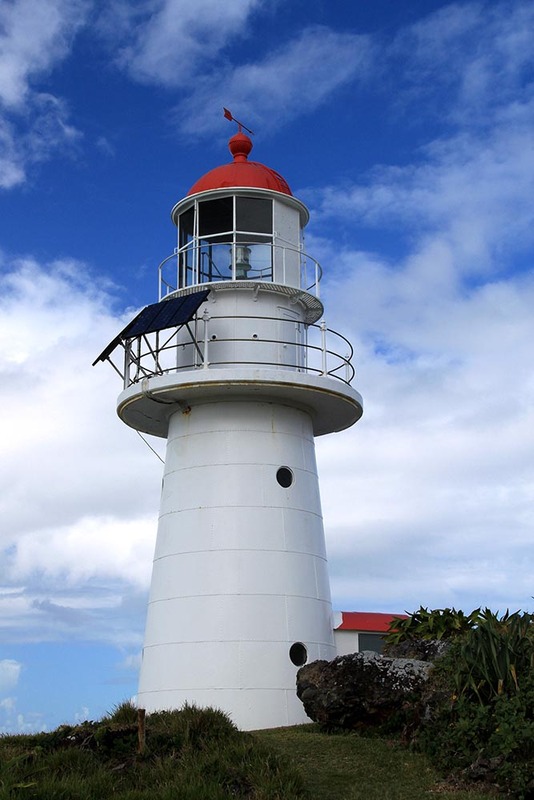 These lighthouses were cheap to build and overcame many of the problems of building the conventional masonry tower. 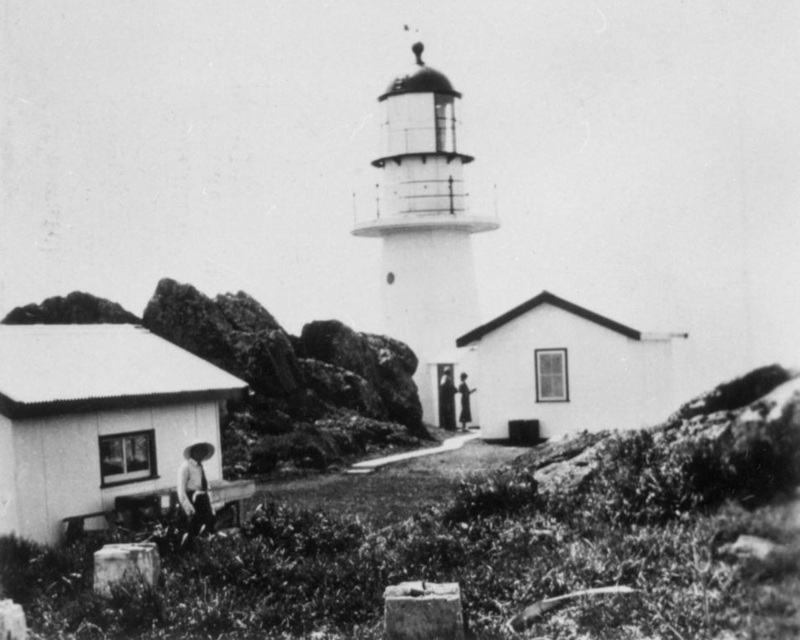 The Double Island Point Lighthouse has been operating since its completion in 1884. 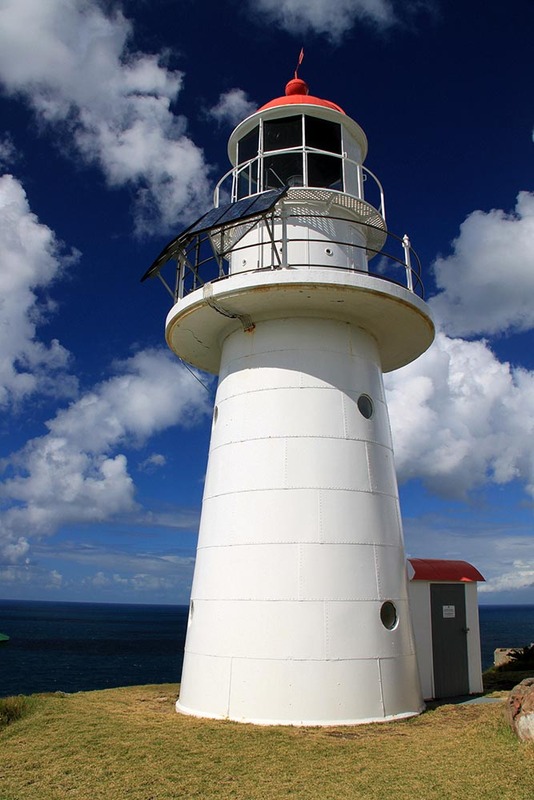 It is constructed of metal cladding on a timber frame as is typical of many Queensland lighthouses. 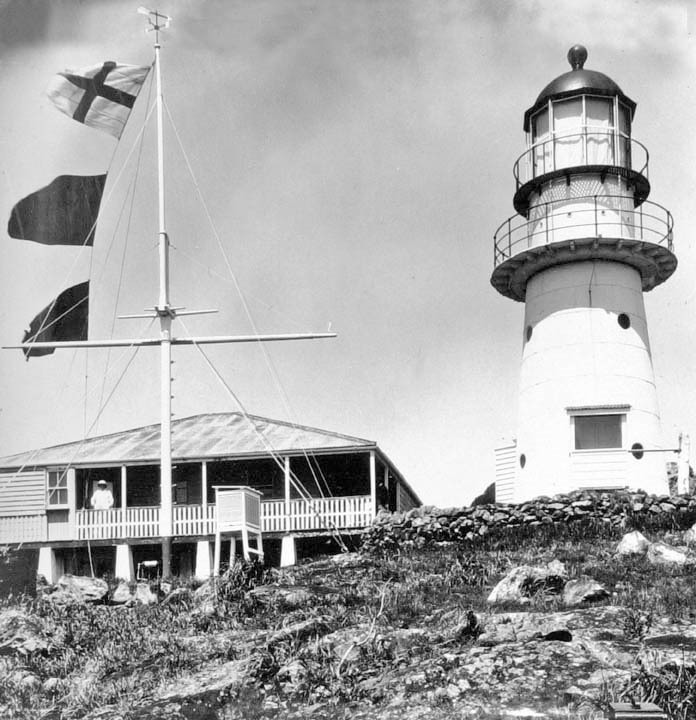 Because of the Great Barrier Reef it was necessary to construct lights at regular intervals to guide vessels through these treacherous waters. Therefore it was considered that for the cost of the conventional masonry tower many of these cheaper lights could be constructed. The design had two other benefits. It made it easier to build on some of the sandier islands where it was hard to establish foundations for the heavier masonry towers. And, solved the problem of finding suitable stone. 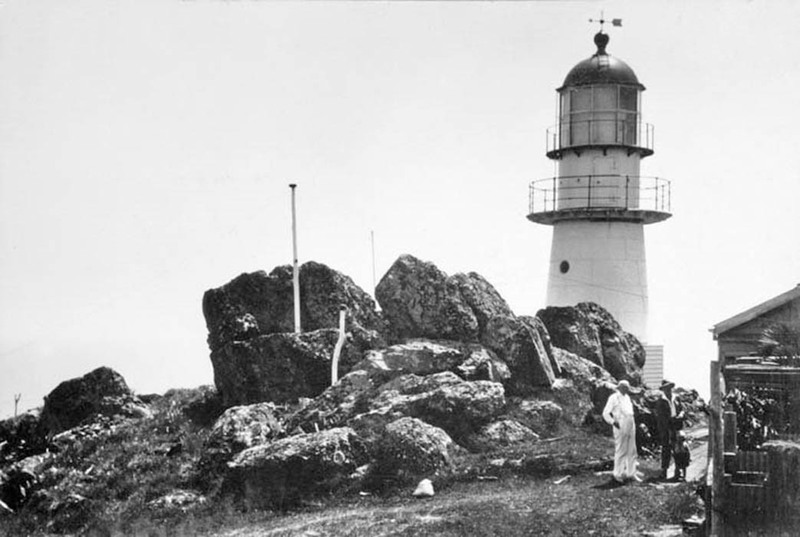 Originally the light was to be constructed only halfway up the point but upon closer inspection it was realised that the light would not be visible toward the North. It was decided that a more powerful light at the top of the point would be more effective. The light was first fitted with an oil burner and revolving panels. In 1923, it was converted to an incandescent mantle using vapourised kerosene, thus increasing it’s power to 100,000 Candelas. In 1925, the light was further upgraded by fitting an revolving lens that floated in a mercury bath. The next conversion was to 110v DC electricity giving a powerful 750,000 candelas. During this period the 3 original cottages were replaced by 2 new ones further down the hill. In 1980, bulk fuel tanks were installed and the light was converted to 240v AC power, and in 1992, the light was converted to solar power and demanned. Tours are available but the tower is not open.